At the height of the Ebola pandemic Discipleship Ministries, Higher Education and Ministry and the Vanderbilt Institute for Global Health worked together to produce “Ebola Disease Facts for Community and Household Health”. At the height of the Ebola pandemic Discipleship Ministries, Higher Education and Ministry and the Vanderbilt Institute for Global Health worked together to produce EBSCO MEDIA printed 30,000 of the French-edition Ebola educational booklets at no-cost and shipped them to Cote d’Ivoire, but the shipment encountered problems that delayed the shipment’s arrival two months. 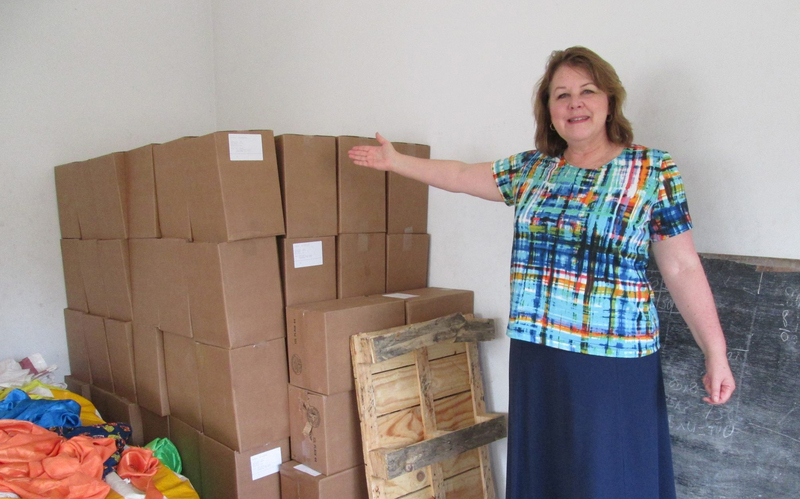 When Robin Pippin went to Abidjan to lead a writers workshop and meeting with the publishing team, she made a special trip to the warehouse actually see the shipment with her own eyes. 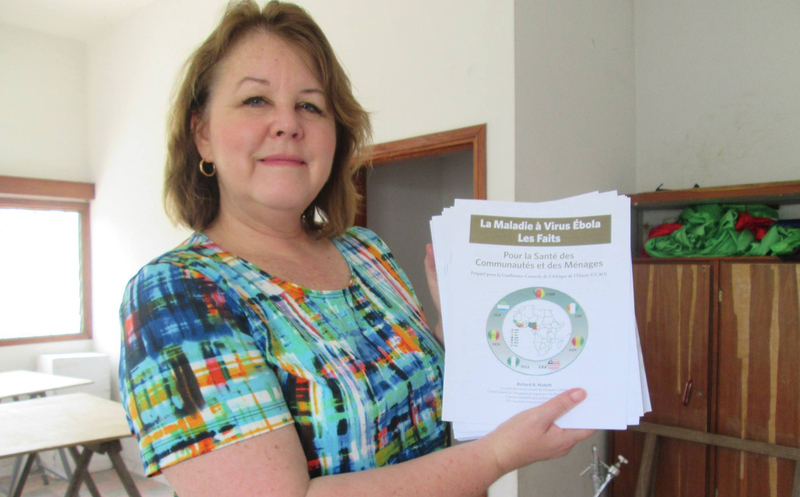 The UMC there will distribute the booklets to key locations and groups throughout Cote d’Ivoire and to their mission outreach sites in several other Francophone West Africa countries.